Out of all the 2 piece sets I have ordered from Overstock, these are my favorite. the quality and look are awesome. I paired them with 2 other pictures to create a collage and I couldn't be happier with my choice. 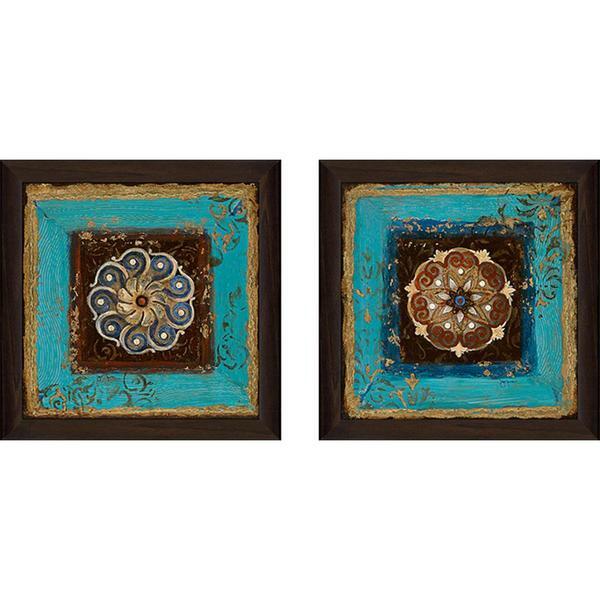 Product type: Each artwork is framed & finished in a 1.75" Chocolate frame Individual Size: 15.5 inches wide by 15.5 inches high Medium: Protective Glass Cover Arrives ready-to-hang Care: Wipe with dry cloth only 100% Proudly Made in North America When hung side by side, their overall wall coverage is approximately 31 inches wide by 14 inches high, which includes 3 inches of spacing in between. These arrived today. They were well packaged and arrived when expected. These are absolutely beautiful!!! Larger than expected. Look very expensive and true to its color.